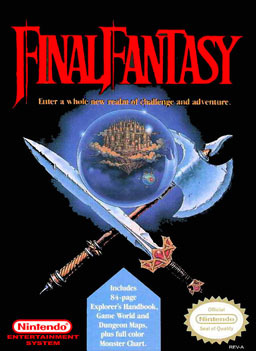 Final Fantasy may not have been my first console RPG--that would be the original Dragon Warrior, er, Dragon Quest--but it certainly was the first console RPG to blow me away. Don't get me wrong, I adored (and continue to adore) Dragon Warrior. It's chiefly responsible for developing my current appreciation of both turn-based battles and grinding. While Enix's game started me down the path of becoming an RPG fan, though, Square's counterpoint took me the rest of the way. Why? 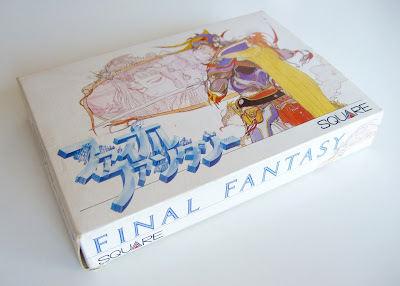 I preferred Final Fantasy's four-member parties, for starters. I also liked that it let you choose the "occupations" of those characters. The quartet being visible during fights was another plus for me. This may sound strange given how people feel about such things today, but back then I was pretty smitten with Final Fantasy's NES box art, too. 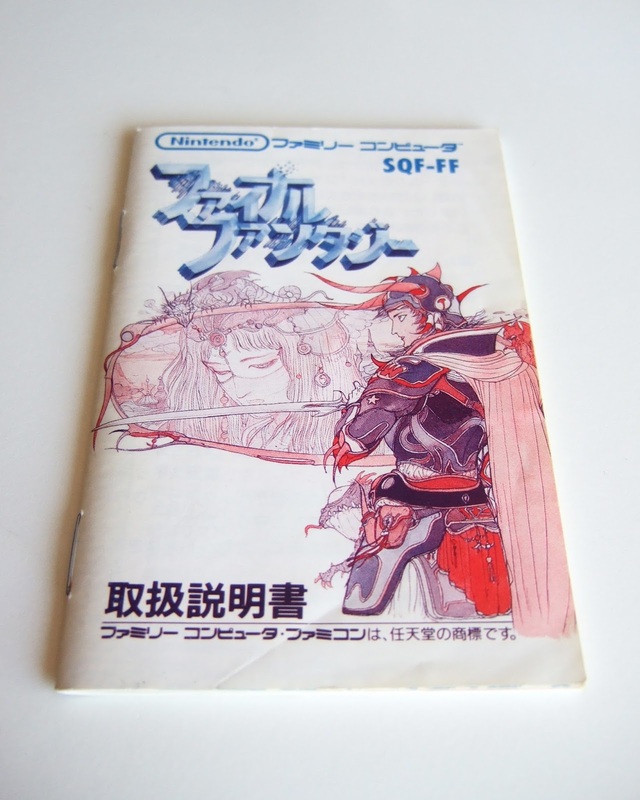 I now know, of course, that the game's North American cover imagery, despite its coral-colored logo, has nothing on its Japanese counterpart. Strangely, although I've been aware of this fact for ages now, I only recently used it as an excuse to buy a copy of the latter. That's hard to believe while perusing the photos showcased here. 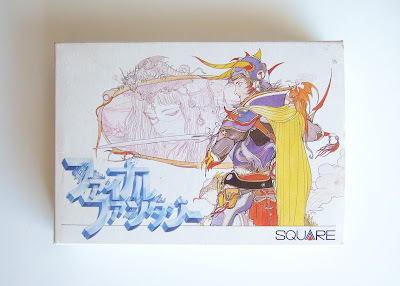 Yoshitaka Amano's illustration is beyond gorgeous, of course, but that's not the extent of this release's positive attributes. Also impressive (to my eyes, at least): its icy Japanese logo. I'm pretty fond of the English logo that fills most of this box's side flaps, too, I've got to say, though I'd never choose it over the original. 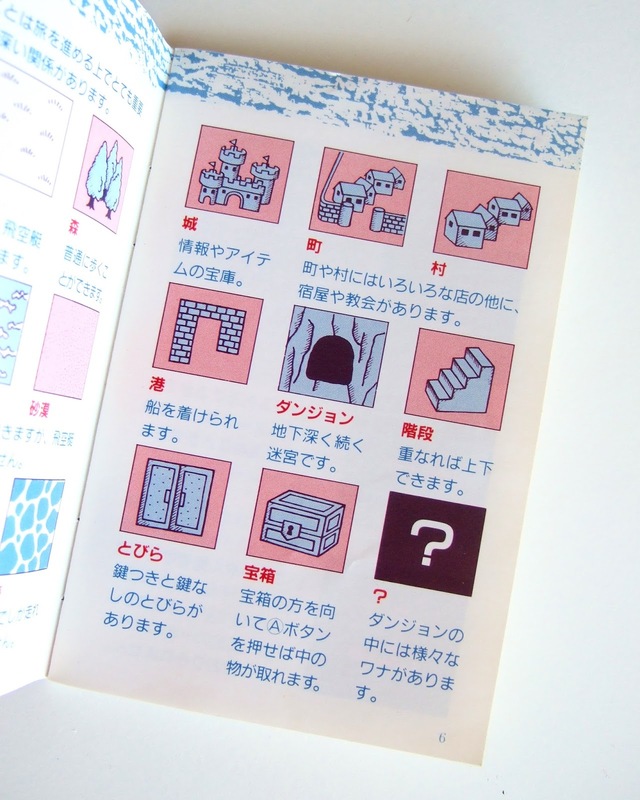 As for the Final Fantasy Famicom instruction manual, it's sweet as well. Not as sweet as it could be, I have to admit, but it contains enough pages like the one above to be worth the price of ownership. 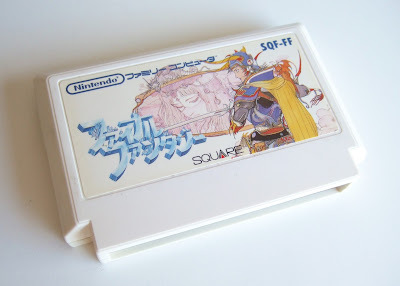 One last comment and then I'll shut up: I like how the back of this title's box displays a couple of sample screenshots. 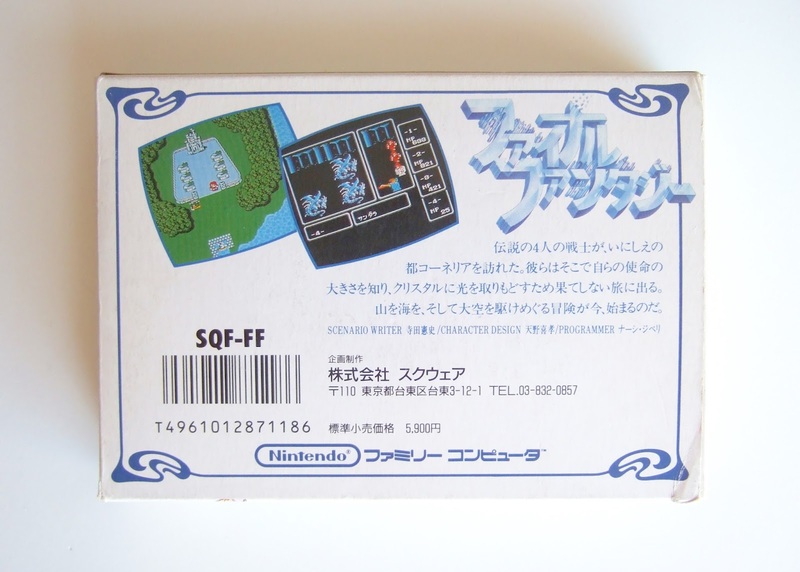 It reminds me of Epic's Flying Hero, which is one of my favorite examples of Famicom game packaging. And, really, anything that makes me think of that under-appreciated gem deserves all the praise that can be heaped upon it.